Since 1999, communist and workers’ parties from across the world have met every year to exchange news and views, hold bilateral discussions with one another and endorse statements setting out common positions on particular issues. A working group meets in between meetings to prepare the agenda and issue the appeals and declarations agreed by all present at the event. It also recommends acceptance or rejection of applications by more parties every year to join the proceedings. The host party is responsible for providing all necessary facilities for the hundreds of representatives who arrive from all corners of the world — some of them in defiance of their illegal status at home, where communist parties are persecuted and banned. Past venues for the annual gathering have included Athens, New Delhi, Lisbon, Johannesburg, Istanbul, Sao Paulo, Minsk and Beirut. On November 2-3 this year, fittingly enough, representatives from 103 parties in 78 countries converged on Leningrad (now known by its pre-1914 name of St Petersburg), which as the Russian capital Petrograd was the epicentre of the 1917 Socialist Revolution. This 19th annual meeting was opened by Gennady Zyuganov, first secretary of the central committee of the Communist Party of the Russian Federation (CPRF). The CPRF is the second largest party in Russia, behind President Putin’s United Russia, with numerous Duma and regional deputies and local mayors and councillors in its ranks. Zyuganov outlined the enormous achievements of the Soviet Union after the Great October Socialist Revolution of 1917 in economic, social and cultural life. He pointed out that Soviet socialism had made it possible for working people — and not only the sons of the wealthy and powerful — to develop and share their skills and talents with society as a whole. 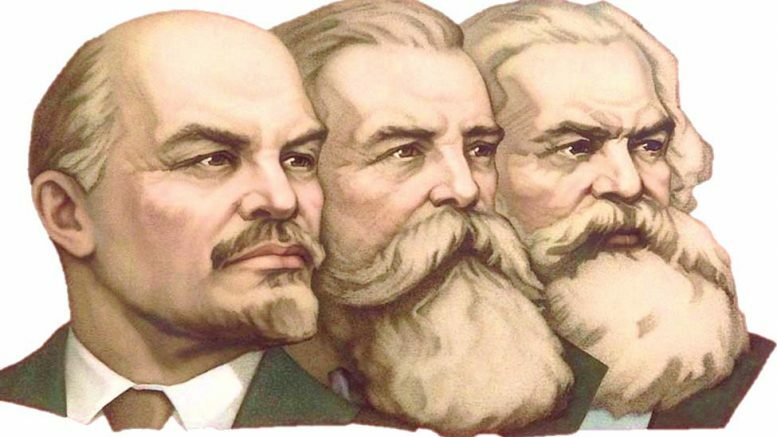 The CPRF leader then recited the names of famous political figures, scientists, writers, artists, composers, musicians, military generals and astronauts in the Soviet Union who had come from working class and peasant backgrounds — and who would never have been allowed to achieve distinction in Tsarist Russia. The European Union came under attack from within and beyond Europe, as a force for capitalist globalisation and imperialist expansion alongside Nato. Ceferino Alonso of the Communists of Catalonia apologised for the absence of his party’s general secretary. He faces charges in Madrid of threatening the integrity of the Spanish state and fomenting rebellion. Although the Catalan communists prefer a federal solution to the national question rather than Catalan separation, they also uphold the right of Catalonia to decide its own future. Not only was this biggest meeting of its kind so far. Refreshingly, there were significantly more women and younger representatives on this occasion, notably from eastern Europe and some of the Latin American countries. Everyone present agreed the draft final appeal, recognising Lenin and the Bolshevik Party as a continuing “source of inspiration and priceless experience” for the world’s communists and other revolutionaries. They paid tribute to the Soviet Union as the “world’s first state of workers and peasants” which, within an historically short period of time, achieved unprecedented successes in all economic, social, cultural, political, scientific and technological fields; stimulated the struggle of the workers in the capitalist countries and the development of the international communist and workers’ movement; contributed decisively to the victory over fascism and became a guarantor of peace; and assisted peoples oppressed and colonised for centuries achieve national liberation. Nevertheless, facing capitalism’s “deep structural crisis” and imperialism’s “dangerous, exploitative and aggressive offensive,” socialism remains the essential objective. Therefore, the meeting saluted the struggles of workers and peoples across the planet against imperialism and for sovereignty, national independence, peace, social progress and socialism. step up the battle against anti-communism and anti-Sovietism, strengthening solidarity with parties facing persecution such as the Communist Party of Ukraine. organise and exchange scientific research and views on the causes of counter-revolution and capitalist restoration in the Soviet Union and socialist camp. promote wide-scale study of the works of Lenin, explaining their historic significance and modern-day relevance. hold events to mark and popularise the 100th anniversary of Lenin’s work The State and Revolution. use Russia’s Victory over Nazi-Fascism Day (May 9) and the 75th anniversary of the victory at Stalingrad (February 2) to combat fascism, racism and “Russophobia” and to defend democratic rights and freedoms. Furthermore, the appeal demanded an end to the US blockade of Cuba and supported the right of the Palestinian people to a “free sovereign and independent state.” It also expressed solidarity with peoples confronting imperialist intervention and occupation and attacks from “fanatical reactionary religious forces,” notably in Syria, Ukraine and Bolivarian Venezuela. Reaffirming their opposition to Nato, nuclear weapons, foreign military bases, militarism and imperialist war, the parties called for the peaceful and just resolution of international conflicts based on the principles of international law. At its close, the 19th international meeting approved proposals to hold next year’s event in Athens and to add representatives from the Communist Party of Vietnam, the Chinese Communist Party and the Workers Party of Korea to the body’s working group. Thanks were given to this year’s hosts, the CPRF, who had arranged guided tours of the Smolny Institute in Leningrad where Lenin proclaimed the victory of the October Revolution, and of the battleship Aurora which had fired the opening shots. In Moscow, the overseas communists were shown around the Kremlin, attended the Putin government’s “official” celebration of the 1941 military parade (which was itself a celebration of October 1917) before joining thousands of Russian communists on a march through the city. In both cities, gala performances by an extraordinary cast of singers, dancers, musicians and actors against stunning film and poster back-drops drew huge crowds, confirming that the communists of the CPRF and the world will continue to draw inspiration from the Great October Socialist Revolution in the struggles — and revolutions — to come. Robert Griffiths is general secretary of the Communist Party of Britain. Be the first to comment on "ROBERT GRIFFITHS reviews the recent international meeting of communist and workers’ parties in Russia"